If you are thinking about investing in real estate, there are many things to learn. There are a variety of resources online that you can use, such as videos, articles like this one, and podcasts. 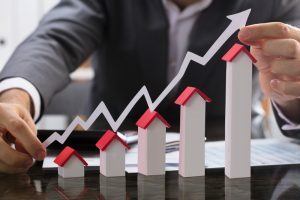 To help you get started, let’s start with the goal of real estate investing, move to some specific benefits and challenges associated with investing in real estate, and then I’ll give you some helpful tips. Real estate investing allows you to invest your money so that it will increase as time passes. When you are considering which property to invest in, your “return”, or the profit you will make, should be more than the risks required to invest, taxes, and the costs that will come with maintaining the property, paying insurance, and keeping the utilities on. Real estate investment may seem easy, similar to monopoly once you have the foundational knowledge. Though, unlike the fun game of wins, losses, and hours played, real-life investing may come with many consequences if mistakes are made. 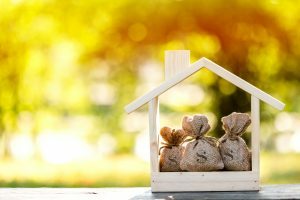 While the basic concept of real estate investing is simple, it doesn’t mean this is an easy process. So, before you start, decide how much you want to invest and how much you will keep so that you do not go bankrupt. This occurs when the property you are in investing in gains value as changes occur. These changes may happen in the overall real estate market, the land shrinking in size or a large shopping market or mall being added to your area. In addition, adding perks and other upgrades to your property can increase its value. While this can net you more money, appreciation can be quite tricky. When you purchase real estate property, you are investing in a cash flow income. You may buy an apartment building, fix it up, and maintain it and rent it out to a variety of people to generate income. These people will pay a certain amount each month or week to live in your property and you need only maintain the property and fix any issues they may have. You can also cultivate this investment through car washes, rental houses, storage units, or office buildings. This can offer you a steady flow of income as long as your operating costs are lower than your income. This income is generated by helping another company run their operations. It can be generated by professionals such as real estate brokers or managers. These specialists make commissions when they help another person buy or sell a property to it may be a company that handles the daily operations of a hotel. They are paid a certain percentage of the profits. This can be a lucrative business as you do not have to gather the customers. You need only support the company to support its customers. This may be an area that is easier to maintain that an apartment building or helping another company directly support their customers. Ancillary real estate investment income may come from activities such as vending machines or laundry facilitates in apartments. You will offer products that can help a company provide amenities of other indirect services to its customers. This is a mini business that is Incorporated into a larger real estate investment. When you purchase your first property, there are a variety of ways to do this. You can take out a mortgage and put it toward the purchase of the property. This may allow you to buy a property that you cannot afford, but it may lead to trouble in the future because if the market falls, interest rates and recurring payments can lead to bankruptcy. Do not purchase a property in your own name. It’s very rare that a real estate investor will purchase properties in his own name. This protects him from many of the risks that come with investing in real estate, such as the investment going sour, lawsuits, and other potential calamities. Rather, it is recommended to place your real estate investments in a limited liability company or limited partnership. These legal entities provide protection against risks and protect you from losing your personal assets. If the investments do go poorly, more than likely you will lose the money you invested, but you will not lose the rest of your portfolio. There are three basic forms of real estate investments: residential, commercial, and industrial. This real estate includes townhouses, condos, multi-family homes, and single-family homes. These spaces are to be used for living and not for working, exclusively. If you own a property that has more than four units, that is under the heading of a commercial property. These properties are used for business-related activities. Facilities may include restaurants, offices, farmland, and apartments that house man different families. Commercial properties come in three different classifications: multi-family, retail, or land. Similar to commercial properties, as these are used for business, industrial real estate is geared towards large business ventures. They include shipping yards, warehouses, power plants, and factories. These cater to mass manufacturing. There are many things to consider when investing in real estate. Before purchasing any land, buildings, or another possible real estate investment, it is best to research your new venture from all angles. Focus on loans that may be needed, operational costs, mortgages that may be leveraged, and inflation. Real estate is an excellent way to build your portfolio.